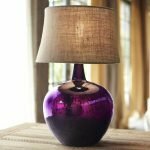 We loved our last blog on style through lighting so much that it has inspired us to do a blog on style through plumbing! Plumbing fixtures probably are not one of the first things that you think about when it comes to interior design. 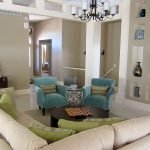 However, they can be very important in making a bathroom or kitchen feel complete and can also really help capture your style and personality. Plumbing can be any design from modern and contemporary to transitional and traditional. Check out all these beautiful plumbing fixtures and see how you can use them to complement the design of your home! 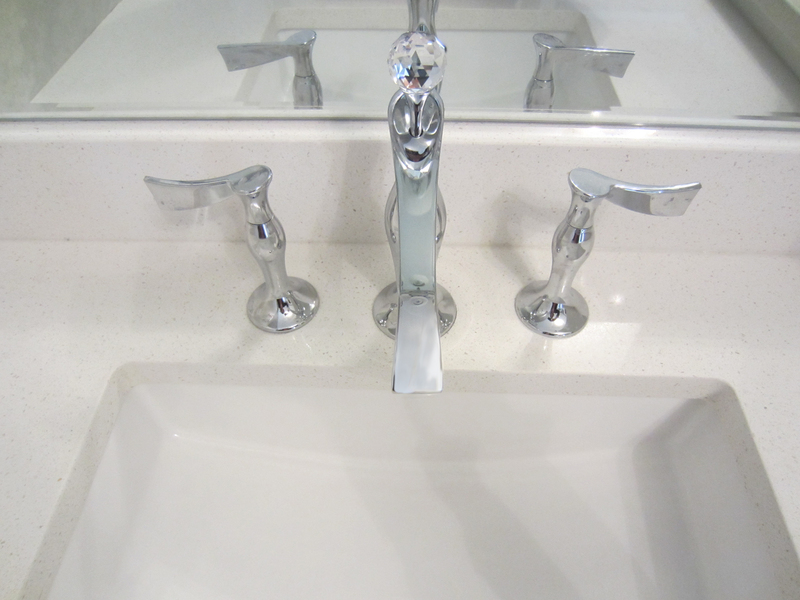 This classy and chic faucet looks gorgeous in this bathroom with the crystal ball accent on top! The curves of the handles also really help capture the chic look of this bathroom. 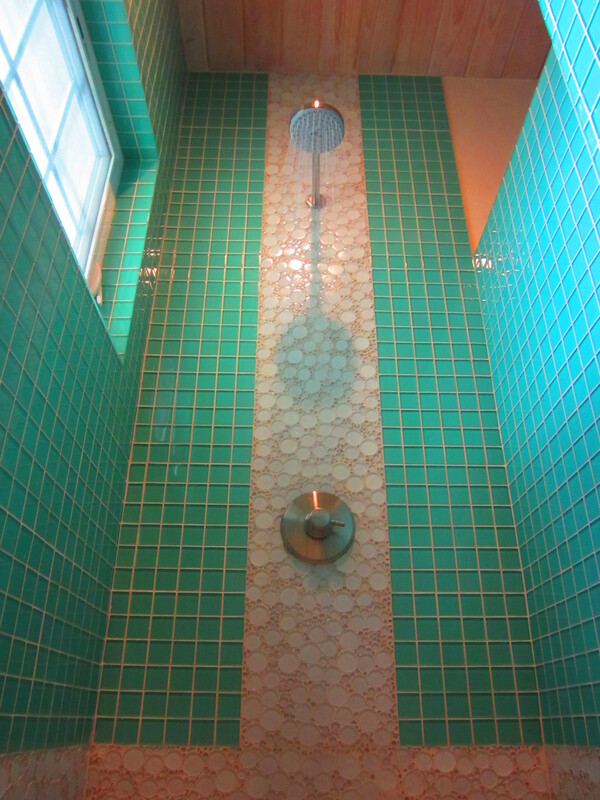 An overhead rain shower like this one works great in this shower to help complement the coastal, beachy vibe of the teal tile and repeats the roundness of the bubbly tile. 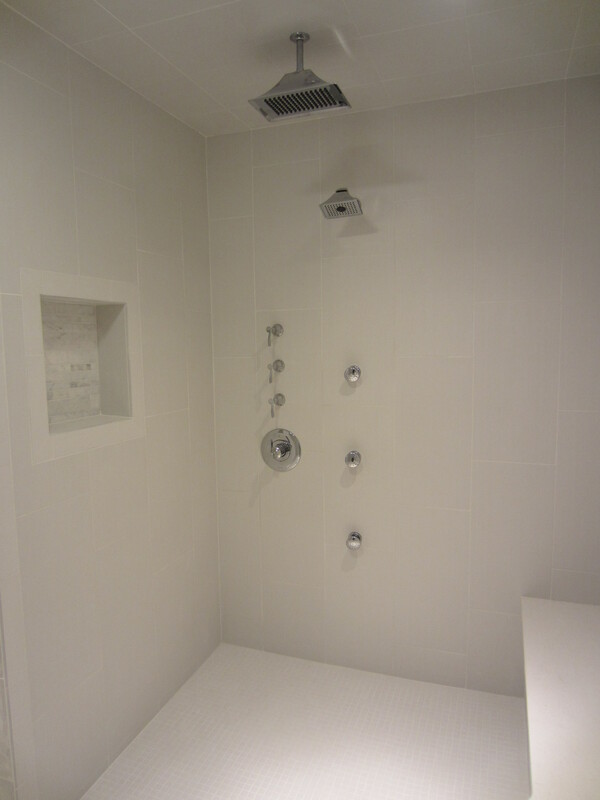 This huge walk-in shower incorporates a set of three body sprays to help make this shower feel very luxurious and the shiny chrome finish looks great against the white wall tile. As you can see, this shower is very traditional and we helped complement that style through these oil rubbed bronze overhead and handheld shower fixtures. 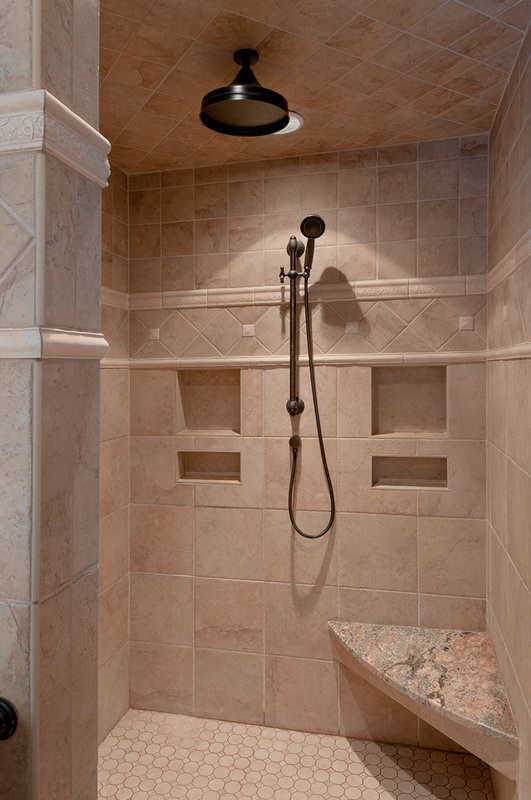 The finish also really brings out some of the darker veins in the travertine tile. 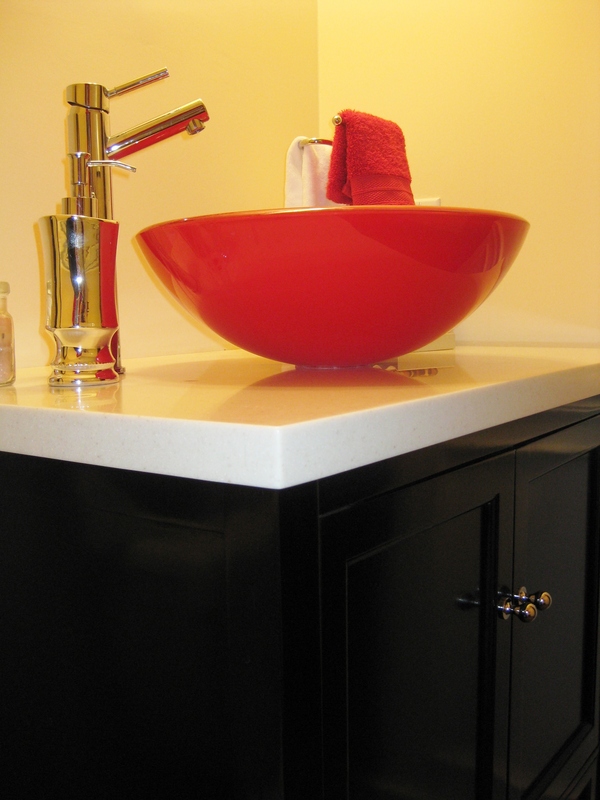 A vessel sink does a nice job of adding some height to a bathroom vanity and to go with that, you will need a taller faucet like the one shown below. 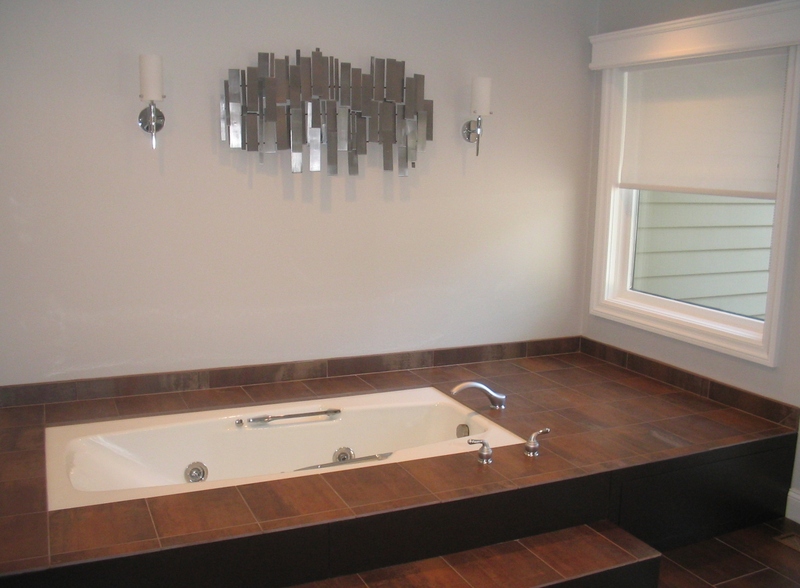 Its finish and streamlined features also add to the modern style of this bathroom. Here is an example of a curvy tub filler that brings out the contemporary design of this bathroom. The brushed nickel finish looks great with the light fixtures and sculpture art on the wall! 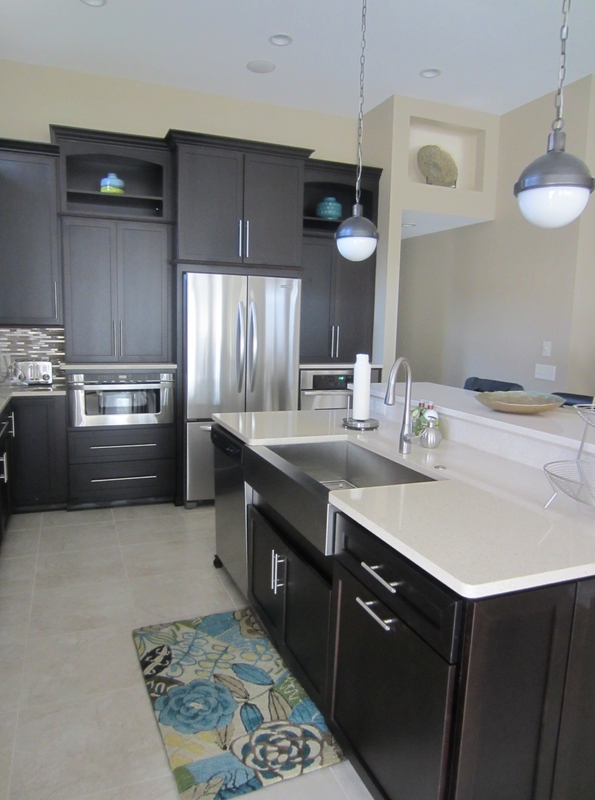 This apron sink and faucet complement this modern oasis kitchen very well and the finishes of them, the pendants, appliances, hardware, and backsplash tile all make the space feel connected and complete. 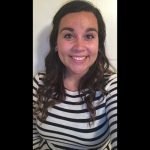 We hope this blog will help show you how a small element like plumbing can complete and complement the design of your space. Whether it’s your bathroom faucet, showerhead, tub filler, or kitchen sink and faucet, plumbing fixtures can do a wonderful job of highlighting your personality and style. 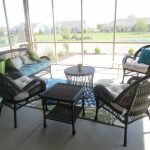 Follow RCI Interior Design on Houzz, Pinterest, and Facebook for more great pictures and ideas for using plumbing in your home!